Many people don’t seem to know that they can obtain a divorce without resolving all the financial and child custody issues of their divorce case. This process is known as “severing a divorce from the corollary issues.” Normally, the only issues that need to be resolved before a divorce can be granted are the issues of child support and health insurance for your spouse. The advantage of doing this is that a divorce is obtained more quickly. The disadvantage of doing this is added legal fees for an extra step in your case. As well, it may give your spouse negotiating leverage against you so that you can be assured the divorce will proceed smoothly. (b) reasonable arrangements have been made for the support of any children of the marriage. As for rule 12(6)(a) of the Ontario family law rules, your spouse will be disadvantaged by the divorce if, for instance, your extended health insurance covers your spouse while you are separated, but ends when you divorce. If you really would like your divorce quickly, one option to consider is private health insurance for your spouse. As for rule 12(6)(b) of the Ontario family law rules, basically this means that you must be paying or receiving child support in accordance with the child support guidelines. 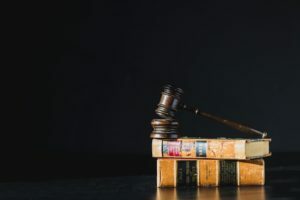 While small deviations to the guideline amount of child support may be permissible, anything more than a few dollars may jeopardize you obtaining your divorce. If you are required to pay child support, to obtain your divorce you would normally need to be up to date with your child support payments. If there is a dispute as to whether child support should be paid at all – for instance, in the case of a step-child – it may be difficult to obtain your divorce before this issue is settled.